Mobile security expert Lookout is warning of a new threat that affects users on Android devices through spam, bulk messaging and foreign banks. The threat is directly associated with a bulk SMS messaging platform called Bazuc. The platform offers users a bonus if they allow the app to access their messaging allowance. There have been over 50,000 downloads as to date. And according to the developer it has been downloaded from 3rd party vendors as well. They bait users with the idea of getting cash for their unused text message inventory. What this does is allow the malicious people using the app to now send messages that bypass normall mobile spam filters because it looks like it is coming from your phone. And in reality, it is coming from your phone. Bazuc’s authors are basically charging vendors to send malicious emails using your phone number. These messages have, so far, been directed at American users. But they have originated in Russia, Nigeria, Poland, and Mexico. They have ranged from simple registration requests, to password and PIN code farming. The real problem occurs in the fact that the messages are open for the owner of the relay to see. This puts banks and other institutions clients at risk. Bazuc is not considered “malware” due to the fact that is just exploits loopholes in all mobile platforms. If you install this app, you risk all of your personal information being shared with many different people and organizations. It is very easy for this information to fall into the wrong hands. “…we can’t discount the possibility that this network could be used to send illegal messages, and in this case the owner of the phone is likely to find themselves in hot water with the authorities”. So, the app isn’t breaking any laws, but it might just end with you getting in some trouble in more than one way. Beware of the Bazuc app. 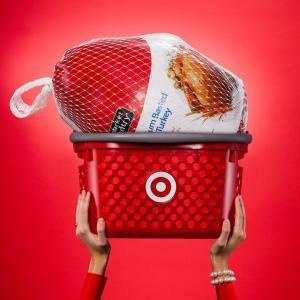 If you shopped at your local Target store in between November 27th and December 18th, you might want to be checking your credit card statement. 40 million credit card users had their card data stolen while shopping at the retail giant. Independent journalist Brian Krebs was the first to break the story but was then confirmed by various news outlets across the country. The point-of-sale terminals were apparently compromised by the cyber criminals at which point they were able to collect data from the cards that were being swiped. Officials think it might have been done through insiders who inserted phishing or malware attack software into the terminal network. That would allow them collect all the data they need to steal from consumers including card data and expiration. If that is true, these criminals could create duplicate cards and even clean out users bank accounts via ATM. Good news if you shopped online. Those users were unaffected. 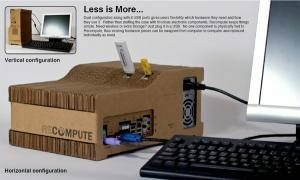 After taking the Greener Gadget Design Competition by storm, The Recompute PC grabbed our attention. The sustainable design means less garbage goes into a landfill when the computer has reached the end of its lifecyle (which is just as long as other computers or longer). This computer is the only line that is assembled from off the shelf components, but all housed in a very sturdy cardboard housing. With some concerns about the heat capacity issue that come with computers, designer Brenden Macaluso assured users with fact. Cardboard has a much higher heat resistance than many plastics including a higher ignition point as well. 258C – 427C to where as plastics begin to melt at only 120C, so rest assured that this computer is ready to roll, right out of the box. Worried about sturdiness? Don’t be. The guys at Recompute have actually stacked up to 800lbs on one of these cases with no problem. While it’s not completely waterproof (no computer really is), it has been assembled with a waterproof adhesive, so there is a certain degree of protection. Feel free to contact us using our contact form or at 806-350-8324 with any questions. For those of you who have a “techie” on their shopping list, Christmas shopping can be a nightmare. You never know if you’re getting the right version, model, or if they already have one. Tech lovers are known for going out and buying their “own presents’ before anyone even starts shopping. Well, below we have a list of things that you can get for any “techie” that they will love, and that won’t empty your bank account. Whether they have already gone and purchased one, that you’ll just have to risk. This keyboard can take a lickin’ and keep on tickin’. I don’t know if you’ve ever spilled anything in your keyboard, but that normally means you can kiss that sucker goodbye (unless your using a Lenovo as they have specially designed keyboards to protect from spills). This keyboard is designed to actually be submerged in water. You can literally wash this thing. It has responsive keys and even one-touch features. The Pop Phone is a great novelty device and actually works very well. I have one sitting in my office right now. 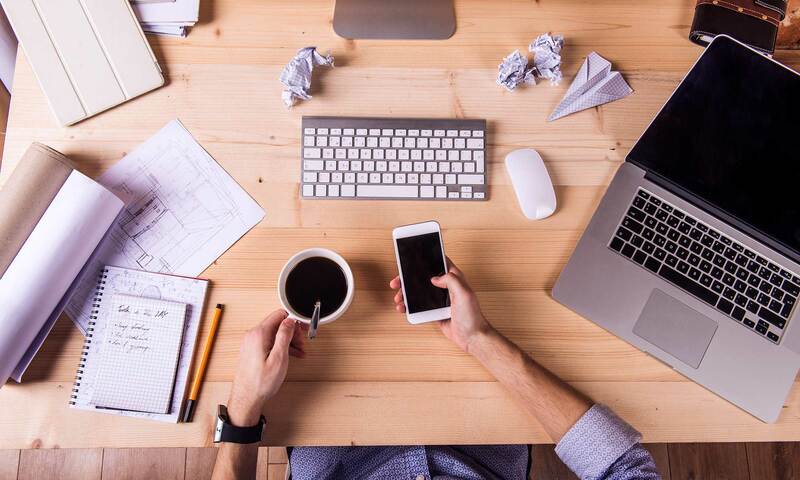 If you have ever been sitting at your computer and get a phone call, you might as well turn off your laptop if your talking on a smartphone. There is no way that you can effectively hold a smartphone with your shoulder. Now, with the Pop Phone, you can be transported back to the day of the “old school” handset. It fits comfortably on your shoulder and even has a button for receiving phone calls. Every family has one of them. The Star Wars fanatic. And if you don’t, then you should! I mean, Star Wars is awesome right? At least the original three episodes, but I digress. What Star Wars fan wouldn’t love waking up to some Yoda or Storm Troopers covered in syrup. You could even burn them and say they are from “The Dark Side”. Do you have a HD TV, that is just a tad bit older? What about if you were wanting to mirror your laptop screen on your TV. Well, let the Google Chromecast turn your dumb TV into a Smart TV, or cast your Chrome tab (and desktop) from your laptop browser. I own one of these and I can honestly say that I love it. It also receives updates directly from Google, so you can expect to see more improvements and apps added to the list. It’s Christmas time and it’s cold outside! What would be nicer than getting to listen to your favorite Pink Floyd album while keeping your ears nice and toasty. These things are super cool looking and the reviews are actually really good. So, surprise your tech lover with some Fleece headphones this year. In order to try to “demystify” coding, Apple stores across the country are hosting “An Hour Of Code”workshops to introduce kids and teens to the basics of computer programming. The classes are 100% free. Announced on Sunday by Apple, the stores will be participating in the “Hour Of Code” on December 11th. The classes are free and designed to introduce kids to the basics of programming and computer science. The classes are designed for younger kids. You can make reservations at your local Apple store. This is part of Apples participation in Computer Science Education Week, a global initiative that aims to teach people of all levels how to write code. We all know that Windows 8 was released to mixed reviews. While some people loved the new OS, others felt that it was mostly unusable in practical workplace application. Microsoft wasted no time in developing a “dot” release that would keep the people who like the new OS happy, while bringing those on board who weren’t fans. The new release has features both on the surface and deeper in the application that have solved many of the problems. Now, we want to make sure that you know the best ways to utilize them. 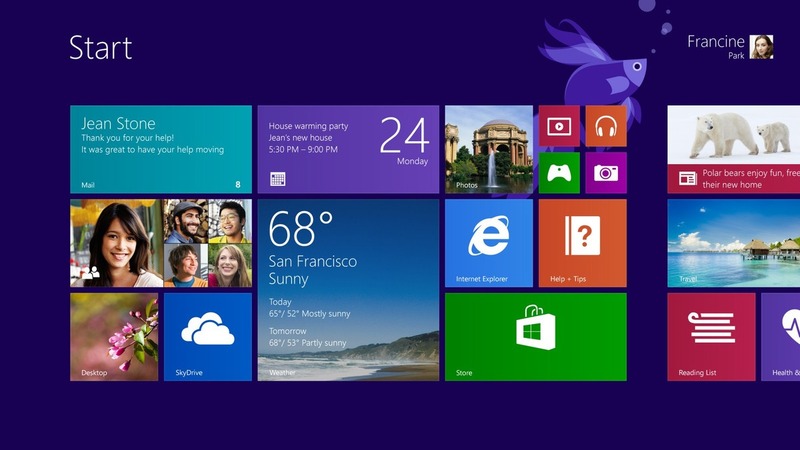 So, here are our tips for using Windows 8.1. Microsoft has now released new Help + Tips apps that can help you find your way around the new platform. Just hit the down arrow in the lower left part of the display and you’ll get a list of all installed apps and Help + Tips should be in the first app section. With the new release, the search is much more powerful. This means that the results can be quite overwhelming when searching. You’ll receive information from your computer, installed apps, and the internet. You can disable the online search component which will give a more simplified result page. Do so under Settings > Change PC settings > Search. While Windows 8 allows your to dock two apps, the 8.1 release allows for three. Drag an application from the top down to the bottom left to dock it. Many of the start screen applications have mini versions that are actually designed to run in the dock. The new Windows OS has an interactive alarm app that will wake you in the morning, remind you to pick up your dog from the groomer and more. Click the down arrow in the bottom left corner. You can configure your alarms there, but remember that you can only use the alarm when the computer is awake, so if your computer is set to hibernate, you run the risk of missing your alarm. For those who are used to 7, you might think that they did away with this feature. They didn’t. They just seem to have hidden it. Launch control panel > system > security > file history window. Then you’ll see the option in the bottom left of that window. Once again click the down arrow in the bottom left corner and launch the new 8.1 calculator app. It is dockable so you can keep it open for making frequent calculations. 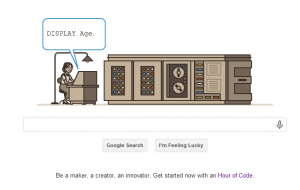 It also has built in scientific view and conversion tool. 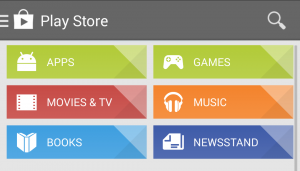 Now you can add the full apps view into the list of apps that you can launch upon startup. You’ll find an option for this by right clicking on the task bar, then choose properties and open the navigation bar. 8.1 allows you to disable the hot corners application. Right click the task bar, open properties, launch the navigation option. Then select “disable hot corners”. In 8.0, dragging the start screen from the top down to the bottom closed it. But in 8.1, when you drag the start screen down, it hides the applications but leaves them running in the task manager in case you need them again in the future. You can restart the application using the same gesture. Just don’t let go of the mouse button. Instead hold it down, and the app card will flip over allowing you to access it again. Along with many of the other startup apps that 8.1 addressed, the photo app was one of them. You can now open photos, and the app offers simple photo editing options built into the app. Microsoft is trying to make using SkyDrive a real option for users. Under settings > change settings > open SkyDrive, you can now make SkyDrive your default save location for applications. While it doesn’t seem like it would make a huge difference, when customizing your computer, everything matters. You can now make your desktop background your startup background as well. Go to settings > start screen. Now, using 8.1, you can sets a custom lockscreen slideshow using your own images. Just click the settings icon > PC settings > PC & Devices > Lock Screen. From there you can select your location from which to pull slideshow images. You’ve probably noticed that 8.1 doesn’t have the robust “libraries” area to separate all of your videos, music, and other items. Open the file explore to show the new “This PC” view. Then choose view, navigation pane, show libraries. The new release comes with Internet Explorer 11 pre-installed. If your running it as a startup item, you’ll notice a book icon when viewing certain pages. When viewing these pages you can click this icon and it will layout the page in “reading” view, which will strip all advertising and other unwanted items that irritate users when they just want to read a story. Open settings > Change PC Settings > Search and Apps > App sizes. Windows will then show you a list of installed apps according to size. It’s always useful to have when looking to clean up some disk space. When searching using the Bing engine, open the Share Charm. You’ll then see a music option. From there you can create playlists from the artists that you have searched for using Bing. It’s a really cool piece of integration. No longer do you have to use the stock startscreen themes that are shipped with Windows 8.0. Now you are able to customize that screen with your own images, app tile sizes, and colors. This is located under the “Personalize Settings”. This is probably one of the more useful features of the new 8.1 release. 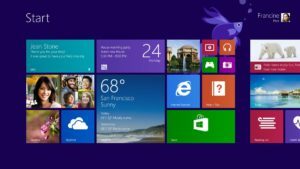 If you like the way your computer boots in Windows 7, then you can force Windows 8.1 to give that back. Right click on the desktop task bar. Then open the Navigation tab. Tick the checkbox that points start screen to desktop. The all acclaimed start button has returned. There was an uproar due to the fact that this little gem disappeared. While the old bottom left hot corner accomplished the same thing, this should calm the masses. Use it to bring up the start screen and access control panels. Here is a nice walkthrough of most of the features mentioned above. According to reports, hackers have stolen nearly 2 million user passwords for Facebook, Google, Yahoo, and Twitter due to key-logging software installed on computers all over the world. A cyber security firm called Trustwave has stated that there is an untold number of computers that have this software installed on it. The malicious software virus has been logging keystrokes and log-in credentials for the most popular sites on the internet for over a month. Those passwords have then been sent to a server that is controlled and monitored by hackers. November 24th, Trustwave researchers actually tracked the servers to locations in the Netherlands that had more than 93,000 compromised websites on them. These companies posted their findings on Tuesday. Twitter officials stated that they have notified users that were affected and have since reset passwords for those users. Google declined comment and Yahoo didn’t provide immediate response. Among the social and email sites, another 40,000 log in credentials for FTP have been stolen as well. If you are interested in seeing if your computer is infected by browsing applications and installed software, no dice. It runs in the background and is hidden. Your best bet is to download a fresh patch to your anti-virus software and update your Adobe and Java plug-ins. 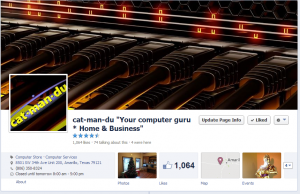 cat-man-du has been serving Amarillo and the Texas Panhandle with outstanding technical service and computer support for over 10 years, and there’s a reason behind that. When Ray founded the company, he did so to ensure that customer service was a priority as he experienced the lack of it in other tech companies. Nothing was more important to Ray and remains that way to this day. Having been “in the trenches” when cat-man-du was just a start-up (and still to this day), Ray knew what it took to provide quality service. What better way to get return business than to give customers a “reason” to come back. This has been his goal for cat-man-du since it began (like many tech giants) in his garage. Even the name of the company has it’s own unique journey on how it all came about. Check it out below. Our company founder, Ray Wilson, was driving between Amarillo and Dumas one day while performing computer services as a side business when he decided to start the company. He was searching for a name that would both set the company apart from the many competitors and describe the type of company he wanted to create. A song from 1975 came on the radio by Bob Seger called “Katmandu” that describes not feeling loved where the person is at currently and wanting to go someplace better. Because Ray had been in the technical industry for so long he knew that most customers were unhappy with the service they receive from computer repair companies and IT companies but that they just didn’t know of any other alternative. It also dawned on him that he could take three commands used in the Linux OS (cat, man and du) and phonetically pay homage to the Bob Seger song. As parents, we want to be sure that our kids are safe and where they are supposed to be. If you want to accomplish this without putting a cellphone in your kid’s pocket (as we know how big of a distraction that can be), then the FiLIP Smartwatch is a great alternative. Plus, it will make you the coolest parent ever. This smartwatch can pinpoint your child’s location using GPS and is also a super cool looking watch. What kid wouldn’t want to wear this thing? You can also program up to 5 numbers into the watch. Kids can then call those numbers with the touch of a button. Using the FiLIP app, parents can make calls, track their child’s location, send texts and even set “Safe Zones” so parent’s will know that their kiddo is at school and safe. 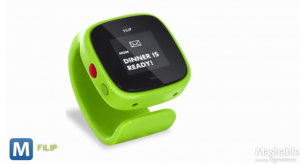 The FiLIP will then send notifications to parents letting them know when their kid leaves and enters safezones. The smartwatch is super simple to use. it has only two buttons. A red and black button. The red “Emergency” button will make a phone call to the first person on the list, if no-one answers it calls the remaining four. It also sends a notification with the child’s location to the first contact and even plays a calming melody. Each gadget costs $199 and can be activated for $10 a month through AT&T. That includes unlimited GPS location and unlimited calling.